OCZ invited us up to their private suite at the Grand Hyatt in Taipei during Computex 2010 to show off their 2010 product line and new developments. The products included the line of very popular SSD drives and a few new items like a portable USB 3.0 drive and a PCI-e card with flash memory onboard which provides users with I/O speeds unmatched by standard SATA II, or SCSI. Here are a few photos of the products covered in the video above. Revo Drive SSD PCIe to provide extreme boot times and data access untouchable by SATA II standards. The REVO drive is a SSD on a PCIe card which comes (at present) in two sizes of 120GB and 240GB. With the REVO drive being connected to the motherboard through PCIe rather than a standard SATA II port that through put from the drive to the board is a real gaming changer for the hard drive market. 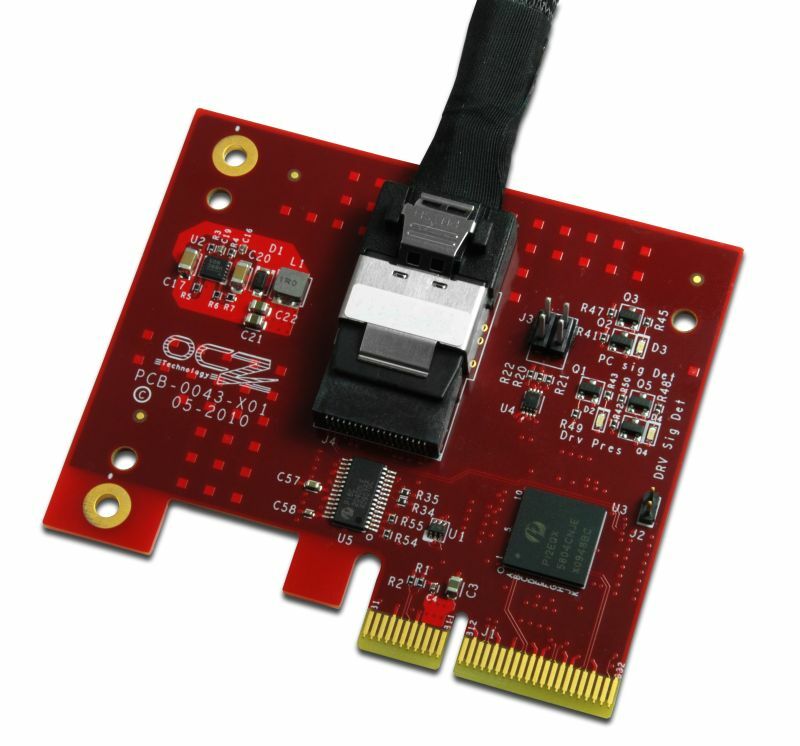 Of course OCZ doesn’t stop here, check out their prototype drive called HSDL (High Speed Data Link) Drive using an OCZ proprietary connection . HSDL Drive link card for single hard drive HSDL Drive link card for up to four hard drive for a RAID configuration. 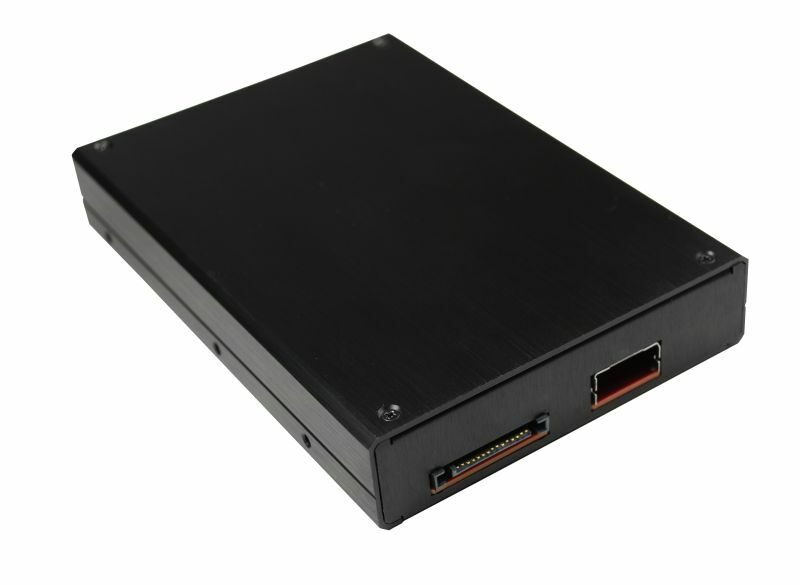 HSDL drive is designed to hold a standard 2.5″ SSD and will be powered by a standard SATA power adapter HSDL drive will also come with the cable to connect the drive case to the card.